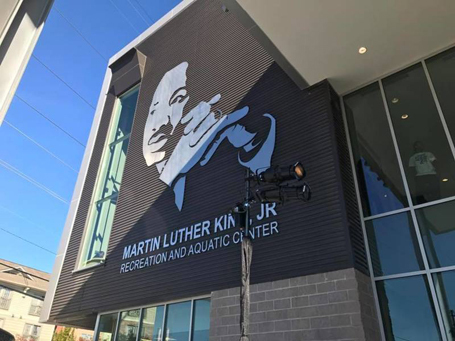 In October 2017, the City of Atlanta celebrated the grand opening with a ribbon-cutting ceremony led by Dr. Bernice King (daughter of Dr. Martin Luther King) for the new $23.5 million Martin Luther King, Jr. Recreation and Aquatic Center. The 64,000 sq. ft. state-of-the-art facility offers recreational programming to residents of all ages and abilities, and serves as an essential communal gathering space. 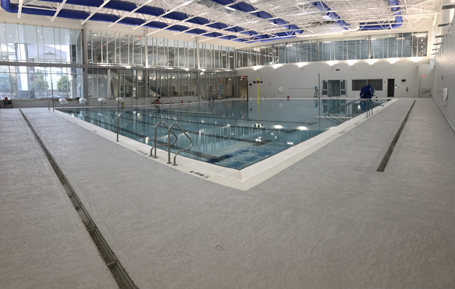 After the former Martin Luther King, Jr. Natatorium was closed in 2012 due to structural concerns, a new recreation center with additional amenities was promised to the Old Fourth Ward community. The facility features a 6,000 sq. ft. multi-purpose pool complete with four 25-yard lap lanes, two stair entries and zero beach entry. 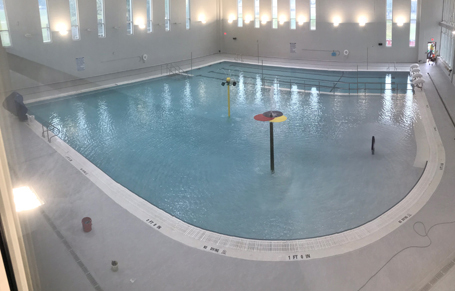 Also included is a fitness and weight room, climbing wall, multi-use event area accommodating more than 200 people, rooftop event space, recreation classrooms, a senior center, a multi-purpose gymnasium, an indoor walking and jogging track, a lounge and workroom area, a computer lab, locker rooms, and recreation staff offices. Atlanta is the birthplace of Dr. Martin Luther King, Jr., and every building, street, and monument bearing his name is representative of Dr. King’s life and legacy.